Crofton provides design-build, new construction, maintenance-repair, & demolition services to the commercial and industrial segments including maritime, utility/energy, agriculture, and more. 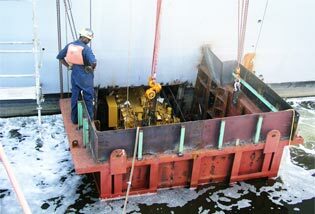 Crofton provides professional diving services for a variety of maritime maintenance and construction needs such as bridge inspections, cofferdam construction, salvage and recovery operations, and more. 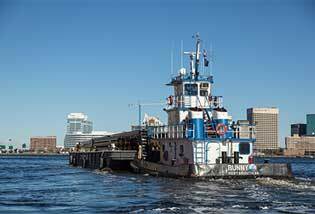 Crofton maintains a fleet of mobile hydraulic, conventional, and barge mounted cranes with lift capacities from 8.5 to 600 tons, servicing the heavy lifting and rigging needs of the Tidewater region of Virginia. Crofton provides rental services on heavy equipment ranging from barges and tugs to man lifts and long reach excavators. Call or request a quote online. Crofton maintains in house engineering consult which supports our comprehensive and diverse service capabilities and performs additional services to our clients such as survey & inspection, falsework & cofferdam design, and permit acquisition. "I wanted to reach out and let you know about Mike Harris, Roger Frickey, and Kelly Flannigan--they rock! 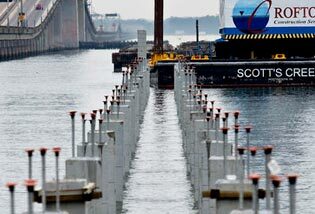 Probably the best riggers I've seen." "Crofton Industries has consistently been there for Western Branch Diesel when we have needed them most, from a midnight call on a Friday night to dedicating 2 drivers to us exclusively for Hurricane Joaquin. Crofton is more than just a vendor for WBD, they are truly a partner in our day to day business." Fred Goodrich, Rental Generator Territory Manager, Western Branch Diesel Inc.
"We are very proud to call Crofton a partner as they have assisted us with so many dynamic projects by providing services ranging from trucking to crane work and rigging." "We greatly appreciated the level of professionalism we experienced when working with you. Your cooperation was the key to our success. Because of you, filming was completed without a hitch. Your expertise helped make our last minute requests happen and kept our shooting schedule on track. We never worried about the safety of our crew and cargo. Hopefully, there will be another feature film that we can use your services because we would love to work with you again." "They have responded to emergent work with little or no notice and have always provided highly skilled personnel and the equipment to meet the needs of NNSB. 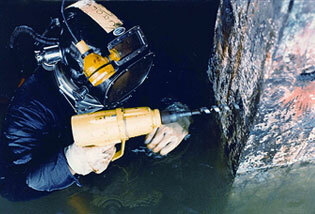 Most of the work has been highly technical in nature and they have performed flawlessly. To meet the demanding schedule, Crofton has supported round the clock until the work was completed. They have demonstrated that they are the best at what they do and the most reliable at getting the job done." "As a ship agent many events occur regarding the vessels and the waterfront facilities they call. 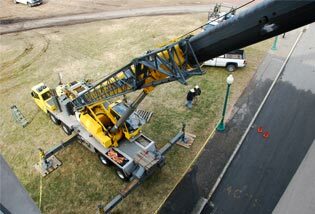 The excellent service we have received over the years from Crofton—diving, construction, and crane rental services—has helped make our business successful. Crofton Industries and T. Parker Host, Inc. are both rich in history and together we have forged a partnership that will last for many years ahead." David Host, Chairman and CEO, T. Parker Host, Inc.